Potassium is an essential nutrient used to maintain fluid and electrolyte balance in the body. A deficiency in potassium causes fatigue, irritability, and hypertension (increased blood pressure). Herbs – Herbs are packed with nutrients and potassium. Chervil contains the most potassium. It is followed by coriander (cilantro) leaves, parsley, basil, dill, tarragon, mint, ground turmeric, saffron, and oregano. Avocados – Avocados are great when made into guacamole or in a salad. Paprika and Red Chili Powder – Paprika or red chili powder add a nice spicy kick to any dish. Paprika provides higher potassium. Chili powder is great also while adding zip to any recipe. Dried Apricots, Prunes, Zante Currants, and Raisins – Dried apricots and prunes can be chopped and served in a salad or eaten alone as a snack. A good source of fiber and many other vitamins. Pistachios and Other Nuts – Nuts are a delicious snack, and a great addition to salads. Other nuts high in potassium include beechnuts, ginko nuts, chestnuts, almonds, hazelnuts, cashews, pine nuts, coconuts and walnuts. Seeds (Pumpkin, Squash, Sunflower, and Flax) – Save any pumpkin and squash seeds you have and roast them in your oven. Fish (Pompano, Salmon, Halibut, Tuna) – Cooking fish with dry heat is the best way to preseve the potassium content. Beans – White beans provide the most potassium. Followed by adzuki beans, soy beans, lima beans, pinto beans, kidney beans, great northern beans, navy beans, lentils, split peas and black beans. Kiwi, Dates, Bananas – Make a great snack, breakfast bread or smoothie and a addition to any salads. Eating nutritious food can keep your energy level high and your mind alert. Snacks are a terrific way to satisfy hunger and get vitamins and nutrients. 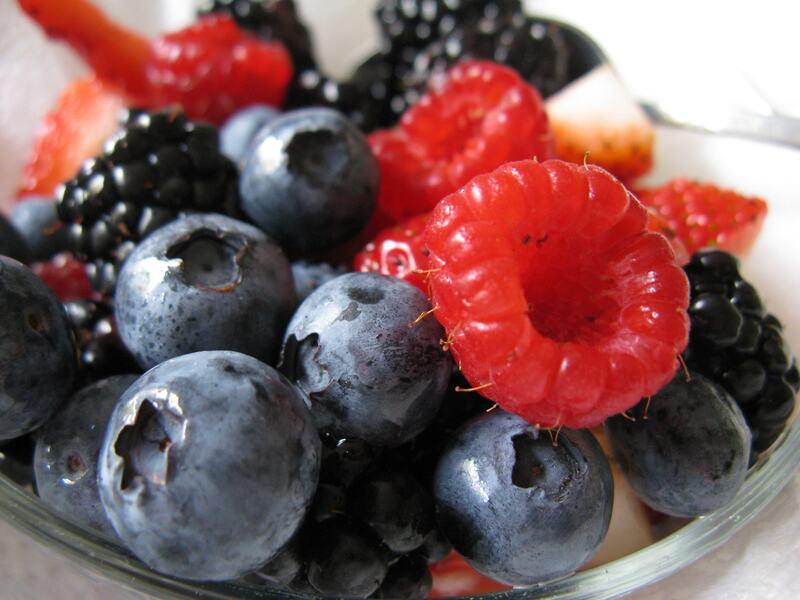 Add berries to warm oatmeal or add quinoa for whole grain, fiber and protein staying power. The fiber in oats lowers total cholesterol and LDL cholesterol, or the bad type of cholesterol. I love fresh or frozen blueberries, which contain high levels of antioxidants and can slow degenerative diseases associated with aging and improve motor skills. They may improve urinary tract problems. Start taking an apple, pear or orange to work as a quick snack. Keep a small bag of nuts and seeds in the car; low salt peanuts, cashews, walnuts, and raw almonds. 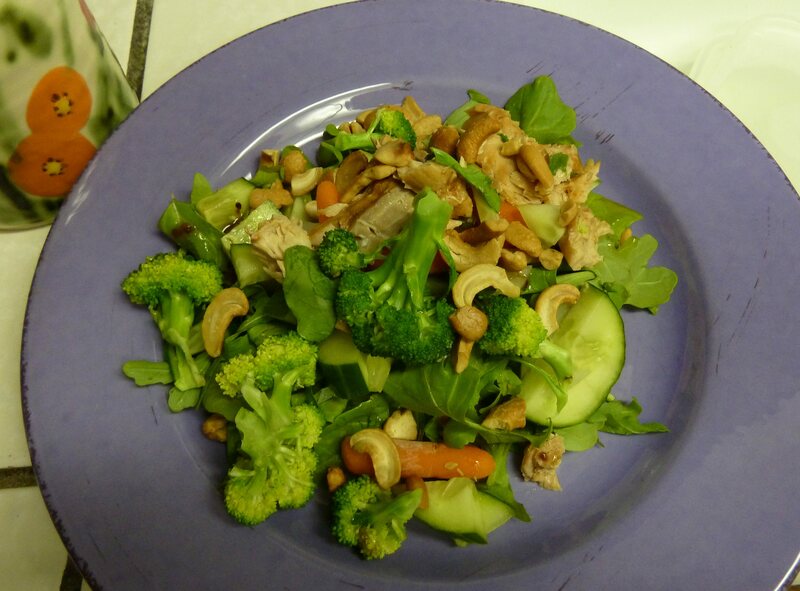 Nuts are an excellent source of protein, fiber and vitamin E. Add them to salads. Walnuts are the only nuts that contain a significant amount of omega-3s, and are known for their high antioxidant activity. Eat them by the handful. 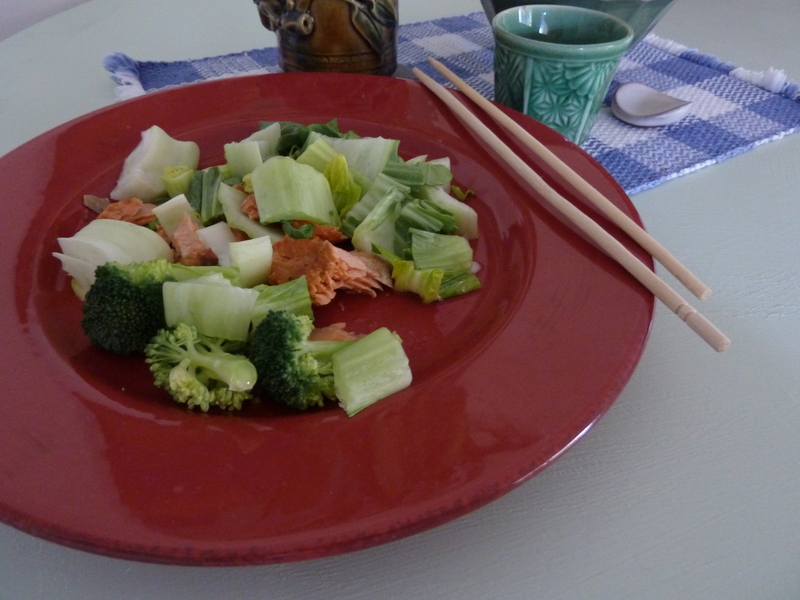 Salmon is a tasty fish full of omega-3 fatty acids, which are beneficial fats that can improve heart health. Salmon is also protein-rich. Choose wild over farmed salmon. Create a dark green salad with spinach and arugula. Spinach has vitamin A, C, K, potassium, magnesium, manganese, and iron. Spinach aids in the prevention of age-related macular degeneration, cataracts, some cancers and cardiovascular disease. Baby Bok Choy is a rich source of vitamins A, C and K. It also provides amounts of calcium, magnesium and potassium, it is very low in calories. Bok choy, should have bright green leaves that show no signs of yellow or wilting. It has a mild flavor with crisp white ribs and leaves. I crave it’s crunch and prepare it often steamed or raw. It adds a big punch to any salad. I eat half a cup of wild or frozen blueberries each day. Blueberries keep us regular and ward off certain diseases. Blueberries have a magical ingredient called antioxidants that protects our immune system. Eating blueberries helps fight heart disease, lowers cholesterol and may prevent diabetes. Blueberries are high in fiber. Fibers greatest value is in helping to keep us slim. A diet rich in blueberries also helps prevent abdominal fat. Fiber makes us feel full sooner and longer because it moves through our stomach slowly. Fiber also moves fat through our digestive system faster so less fat is absorbed into the body. Beets, brussels sprouts and sweet potatoes with ginger flush you out. If you feel sluggish, these veggies will accelerate things. Beets are said to also lower blood pressure, sweet potatoes pack a super beta-carotene punch and ginger is good for your heart. Brussels sprouts have high cancer-fighting properties. I like to steam, grill and bake raw veggies. Beets are wonderfully sweet. They taste great with other veggies or alone. I often eat raw veggies though out the day in small portions.